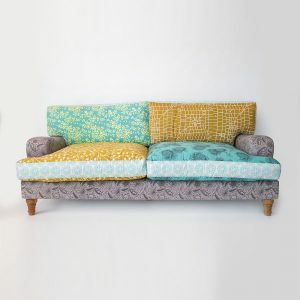 The Patch sofa is a fun and eclectic sofa. 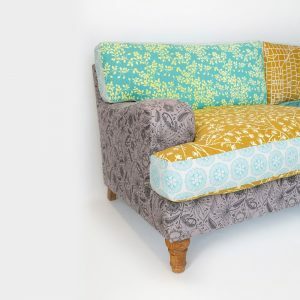 Upholstered with fabrics hand printed in South Africa, this sofa is a great statement in any interior. 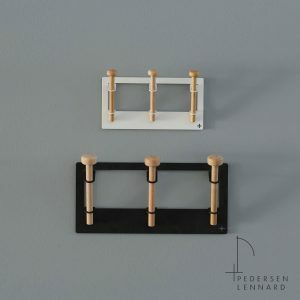 It has loose back and base cushions, classic turned feet and wide low curved arms. It gives the a classic look a friendly twist.